For gaming and PhD schoolwork. Budget: $1500. Parts were all great for a function-based build. Case is great, feature-filled and simple. First Noctua fans & AiO cooler I've ever bought. Definitely worth it. PSU is actually the SuperNOVA NEX750B (from previous build). 750W is overkill, but there was an amazing sale when bought. I love how simple and clean the build is. Great job, my friend. Lovely build, I would recommend some black braided cables because you've got some ketchup and mustard cables up in it. I would prefer that as well, but the wife was not interested at all in it, when what's there works perfectly fine. If I come across some in the future though, I might just give it a minor upgrade (even if only for my own enjoyment). +1 Nice Build! The fact that you have a 750 watt PSU is pretty good, saying that your wife would like to upgrade to say, a 2080 or 2080 ti for example (obviously when she thinks that the performance of her 1070 has dropped and 20 series card prices have come down). She steadily plays League of Legends, Guild Wars 2 and Divinity: Original Sin 2. She also off-and-on plays a huge variety of other games. She took a huge liking to the Tomb Raider series, and bought Rise of the Tomb Raider in celebration of a new PC. Good part choices :) It's a clean and simple build, but it has all of the right parts. how do you like the case? that's what my current build is in and I love it minus the screens. 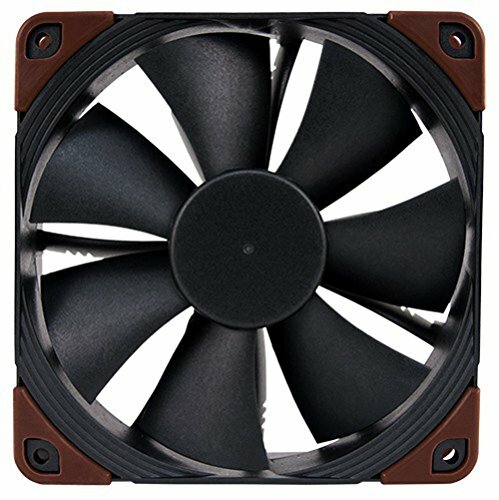 I've ordered this case and want to use the 240 Lite radiator...I'm just having trouble figuring out how to do the rest of the fans after reading everyone's opinions! The front fans are essentially exhaust fans in that orientation, correct? Where and how many intakes do you have? Also, I want to put a 1070 TI Duke card, which is about 1.3" longer that your 1070. Will that have enough room with the radiator?? The 2 front fans are in pull config, so both intakes. The rear fan is exhaust, as well as the PSU (fan side up). Leaves the system with slightly positive air pressure to combat dust. Given I had to insert the GPU diagonally, I don't think 1.3" longer would fit. The Gaming or Armor versions would fit, though. If intel is better for gaming, and this is a gaming pc, why go amd? I get that it is overclockable and such, but for a wife's gaming pc intel makes a lot of sense. Why? Does storeMI have problems? And second, I realize that, but the performance is kind only in the 20fps range, and Ryzen has more cores for a lower price, and It will hold out longer because of that. I’m sorry that you don’t have a few minutes, but basically every drive that store mi touched got corrupted and had to be formatted, regardless of what ssd was installed. It was a complete disaster. Not that I would recommend optane, but at least drives still work after you use optane. I originally specc'd the build with a Ryzen 7, but her previous build was an FX 8350, so she wanted to give Intel a turn. Unlike me, she has absolutely no interest in overclocking at all, and rathered put the money elsewhere than pay for a K CPU (+ a Z motherboard). Not custom overclocking, but the out-of-box Intel Turbo Boost is allowed.